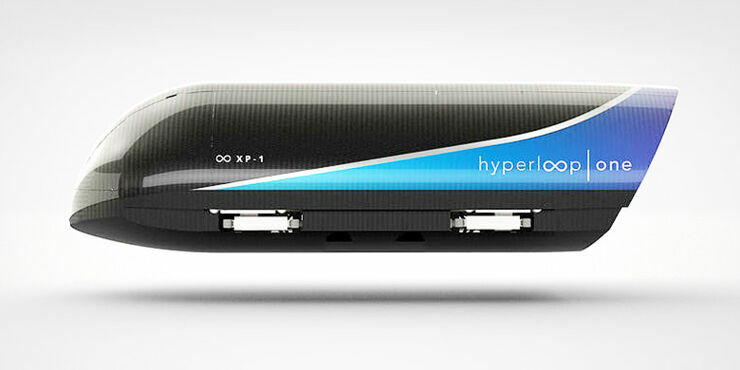 The super fast pods, which are based on an idea by Elon Musk and use magnetic levitation to glide along in a vacuum, hope to one day carry it's Hyperloop passengers at speeds of up to 750mph. 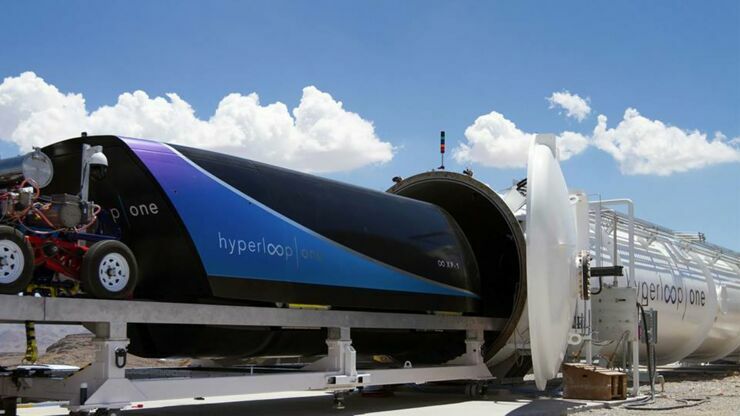 This latest demonstration is its first full-scale high speed test and took place in the Nevada desert, it follows on from a low speed test carried out last month in a test tunnel. The carbon fiber shell first generation pod, known as the XP-1, was taken down a 500m track at a speed of 192mph (310km/h) before braking and stopping. Only just over a year ago Hyperloop One was doing its first ever open air test for its supersonic track. This latest test comes as the Los Angeles based company seeks more funding. 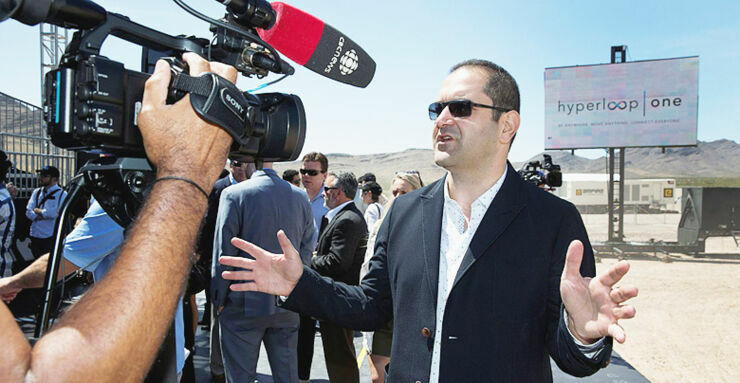 “This is the beginning, and the dawn of a new era of transportation,” said Shervin Pishevar, Executive Chairman and Co-founder of Hyperloop One. “We’ve reached historic speeds of 310 km an hour, and we’re excited to finally show the world the XP-1 going into the Hyperloop One tube. 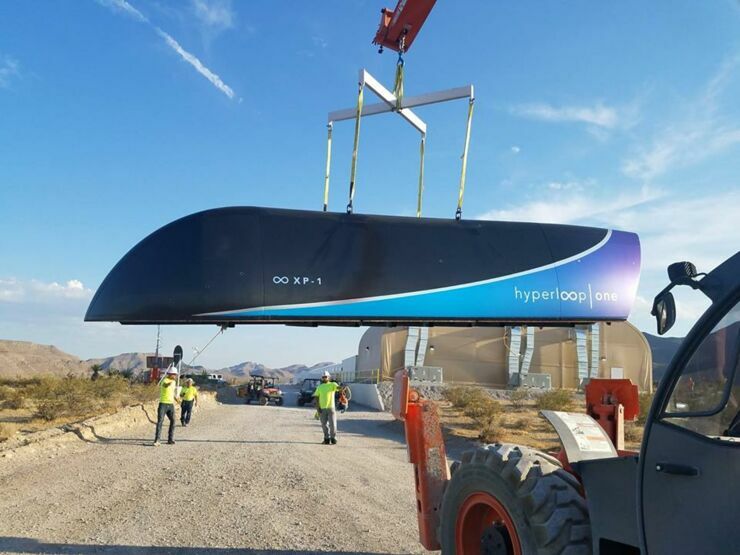 When you hear the sound of the Hyperloop One, you hear the sound of the future.” It's an important step and is the basis for Hyperloop's 'Be anywhere. Move anything. Connect everyone' mission statement. The XP-1 pod, which measures 8.7 metres long, 2.4 metres wide and 2.7 metres tall, achieved record speeds according to the company. It also said all components of the system tested successfully, "including the highly efficient electric motor, advanced controls and power electronics, custom magnetic levitation and guidance, pod suspension and vacuum system." Both passengers and cargo will be loaded into a pod which accerlates gradually using electric propulsion along a low-pressure tube. Then the pod lifts above the track through magnetic levitation and flows along at speeds more associated with airplanes which it can do for long distances because of the super low aerodynamic drag. Hyperloop One had expressed an interest in building the first system in Dubai. 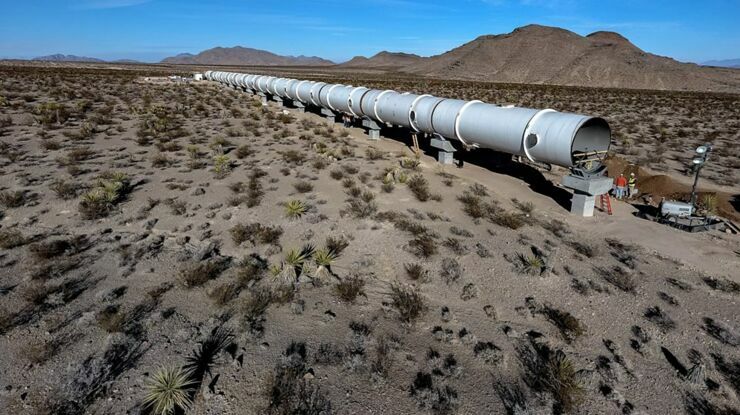 Although last month Elon Musk cryptically announced on Twitter that he had been given permission to create a hyperloop connecting New York to Washington DC, travelling between the cities in a time of just 29 minutes. But when people asked him who exactly had given him permission he didn't answer and was unavailable for comment. And officials in both Washington and New York said that hadn't given him any approval. Still, this latest test from Hyperloop One shows that the dream of supersonic pod travel is alive and well, it just now needs some partnerships with governments and countries so it can start building the system for commercial use. Check out some pictures of the tunnels and pod, and a video explaining how the hyperloop works, below.